Not done with your shopping? 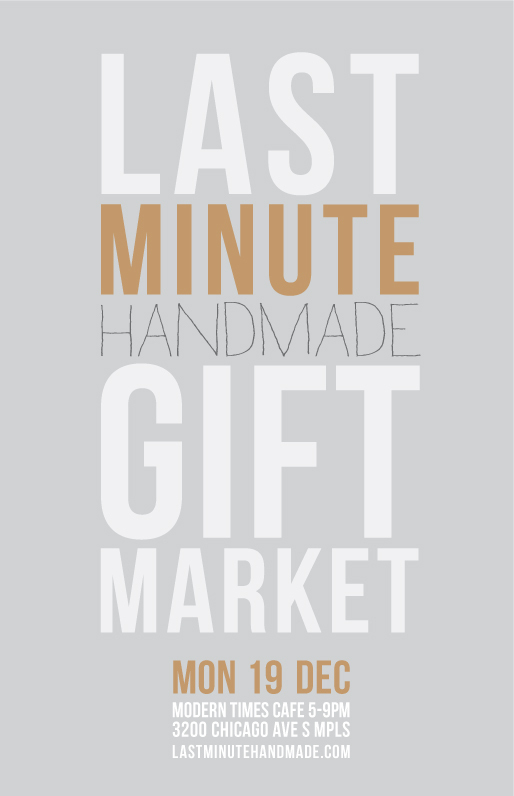 Here’s your chance for local and handmade. At the Last Minute Handmade Market. Really amazing, amazing work. Tonight. South Mpls. Be there. I will.